My close friends and family know that I “dislike” driving but always enjoy being the passenger. ( Too many drivers have used my car as their braking system!) As a passenger I’m able to take photos and have a chance to be inspired by the view without driving off the road! This painting, “The Road Is Still On The Map” was woven together from several scenes as my friend and I were exploring and I was trying to give directions from our paper map and our GPS / Google devices on a recent trip. We were often pleasantly surprised that the road we were on was on the map. In painting this I used many of the colors that actually existed but as always I exaggerated some to draw attention to the trees that otherwise are only glanced at... you know, just more green trees! 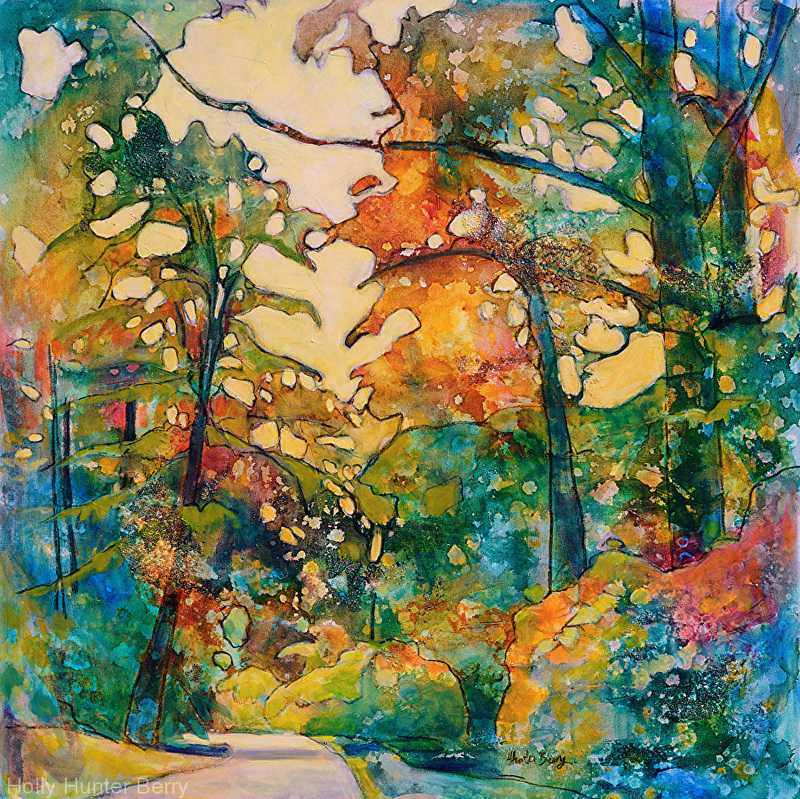 So in naming this painting I was referring to the road we were on but also thought a bit more about life in general.... perhaps the road to happiness and light is still on the map, yes, even today it is able to be found! Enjoy your day and don’t stop “seeing” where you are going!